Beginning January 1, 2019, Dekalb County School District will no longer order diplomas for House Bill 91 graduates. The law retroactively eliminates the Georgia High School Graduation Test as a requirement for students who took the test between 1994 (when the test was established) and the present. State Board Rule in 2011 eliminated the test as a requirement for graduation, but that elimination did not extend to students who had already taken the test. Graduates can order their diplomas directly by contacting Jostens at 1-706-691-9359, or email Mark Peay at mark.peay@jostens.com. The cost is $50, payable to Jostens. For general questions regarding House Bill 91, contact project_graduation@dekalbschoolsga.org/. What is House Bill 91? House Bill 91 was signed into law on March 30, 2015 by Governor Deal. The law provides that students shall no longer be required to earn a passing score on any graduation tests to earn a high school diploma. If I completed all course requirements and failed a portion of the High School Graduation Test while in high school and was given a Certificate of Performance, am I eligible to receive a diploma? Yes, according to House Bill 91, students no longer are required to earn a passing score on graduation tests to earn a diploma. What information will be used to determine which requirements must be met to receive a diploma? Eligibility will be based on the graduation requirements in effect when the student first entered ninth grade. The entire appeal process, from the time your completed application for review is submitted, can take at least ten weeks. Will the school district order and pay for my diploma? 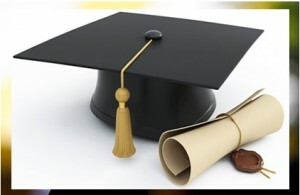 Beginning January 1, 2019, Dekalb County School District will no longer order diplomas for House Bill 91 graduates. Graduates may contact Jostens at 1-706-691-9359 or email Mark Peay at mark.peay@jostens.com to order their diplomas. The cost is $50, payable to Jostens. This cost is at the expense of the applicant. The timeframe for receiving your diploma can take up to four weeks. Please confirm with Jostens the length of time it will take to receive your diploma. If I earned a certificate of performance in 1990, am I able to complete an application for a diploma according to House Bill 91? Yes, any student who was a ninth grader during the year of 1981 and beyond and did not receive a high school diploma solely because of the failure to complete graduation test requirements is eligible to complete the petition. All required credits must have been earned. I would like my current name placed on my diploma. Can I request that this be done? Diplomas will be issued with the printed name of the former student as it was listed in the official file/student record upon exiting the school district. I no longer reside in Georgia. Am I able to request a diploma if I meet the guidelines of House Bill 91? Yes, former students of the DeKalb County School District may request a diploma through House Bill 91 by completing the required petition and submitting with a copy of photo identification. I did not complete all of the course requirements needed for me to receive a high school diploma when I was in school. Am I able to request a diploma according to the guidelines of House Bill 91? No, according to the guidelines, all graduation credit requirements must be met to be eligible to receive a high school diploma. How do I request a diploma based on House Bill 91? The law is effective for any student – currently or previously enrolled – who has met all graduation requirements except passing any of the graduation tests (Georgia High School Graduation Test, Georgia High School Writing Test, Basic Skills Test). The law extends back to the first administration of the Basic Skills Test in 1981. Governor Nathan Deal signed House Bill 91 (HB91) on March 30, 2015.